As an artist, I have a colorful soul. My mind works much like a canvas. It’s a place where I experiment, mixing and matching colors with each other. Sometimes it resembles more of a battlefield than a canvas, with different parts of myself fighting against each other as I attempt to decide on a subject. The creative process is easy to overthink, but I find that it works best when I allow my fingers to almost unconsciously begin to paint. The more I practice, painting becomes more like a reflex, as I allow my fingers to take over. Even mistakes aren’t really mistakes, as I can easily paint over them with my brush and keep trudging forward. In art, mistakes aren’t made, only progress. This collection of work features oil paintings and 3D clay sculptures on canvas. 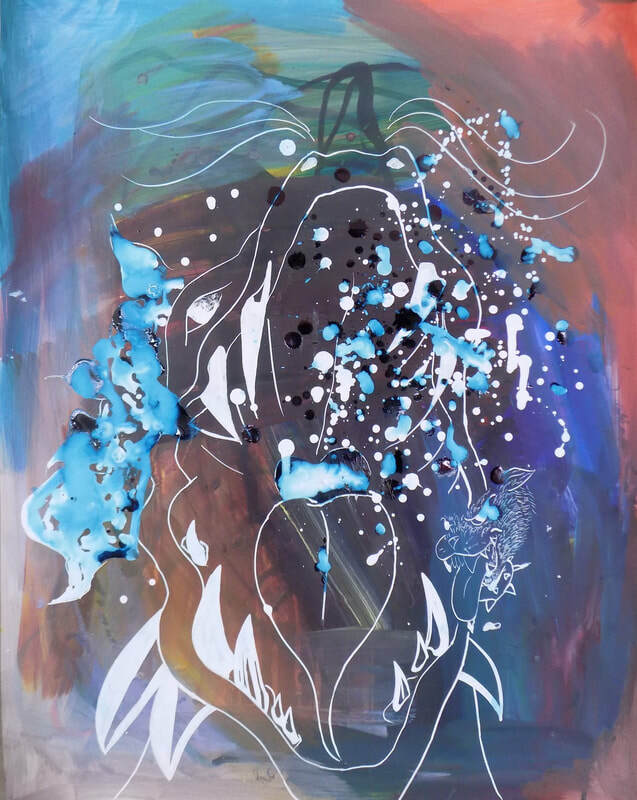 "The Inner Mind" is an impasto oil painting that depicts the intense colorful battleground of my mind as an artist embarking on the creative process. Neurons fire in the background of a puzzle of colorful multi-patterned pieces. 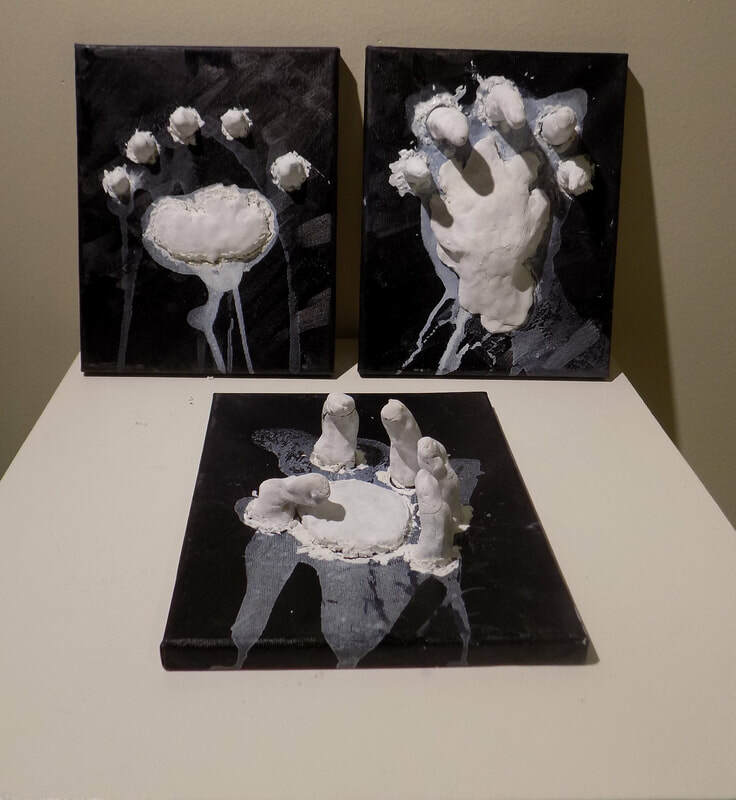 "They Who Reach Out to Me" is an oil painting and a 3D clay sculpture that depicts a hand reaching into the darkness. When I feel lost in the dark places, I need others to guide me out of that darkness - it is the individuals that reach out to me, that are a light to me and grab me out of of the dark. 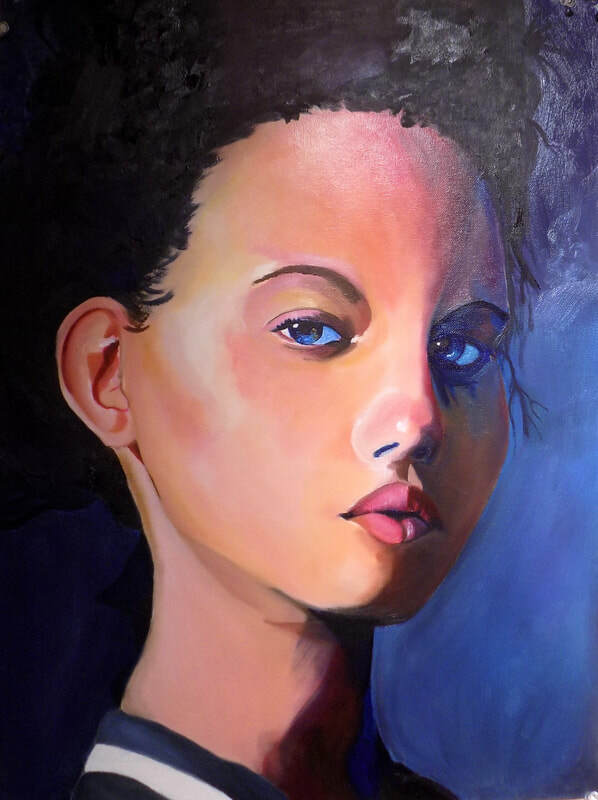 Master copy of Aaron Griffin’s Marina Nery.